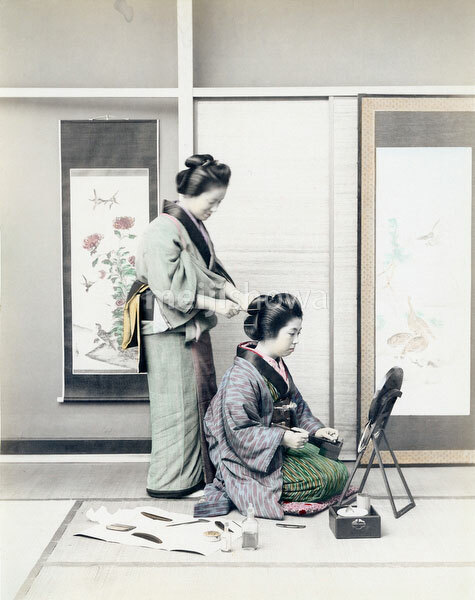 A woman dressed in a kimono and facing a mirror has her hair done by a hairdresser. On the floor are tools for hairdressing, especially combs. Many different kinds of combs were used in Japanese hairdressing. See blog entry.